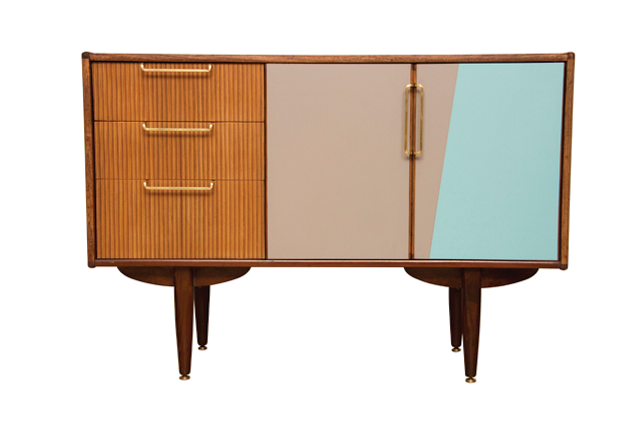 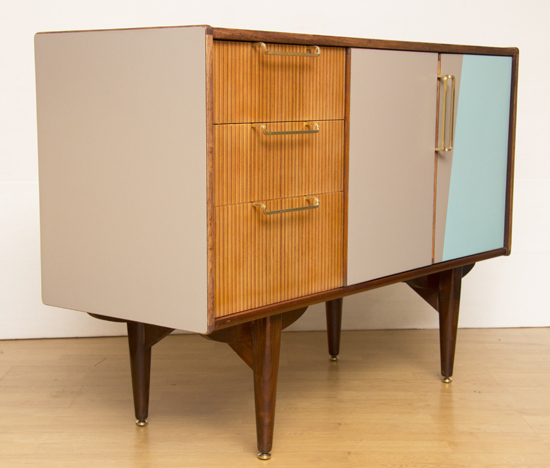 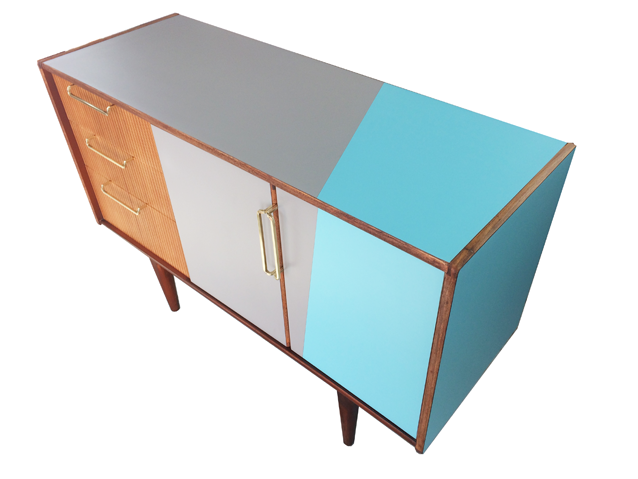 A compact little sideboard from 1960 with a Capri and platinum formica finish. 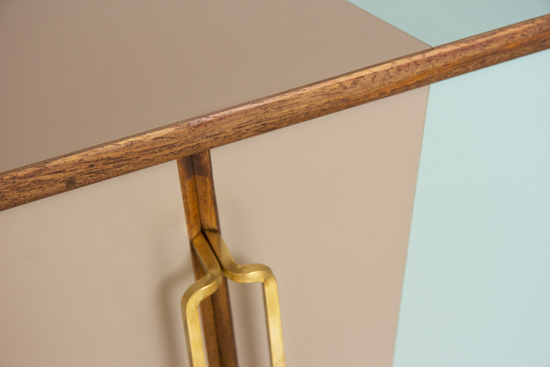 Formica is durable, unlike paint, it will never fade or yellow. 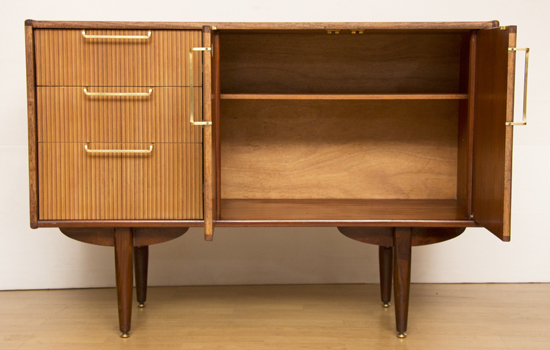 It can be wiped clean and is heat and scratch resistant. 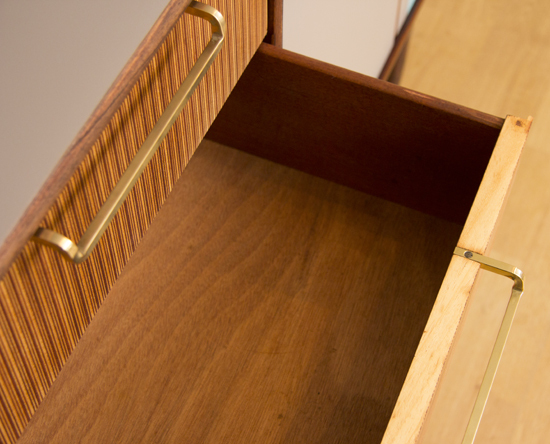 Solid brass features and a Zebrano wood veneer on the 3 drawers.